After obtaining a Msc. in Nutrition and Human Nutrition at the University of Milan, she enrolled in the register of biologists as “Biologa Nutrizionista”. She attended courses in nutrition for many sports and works nowadays for a triathlon team. 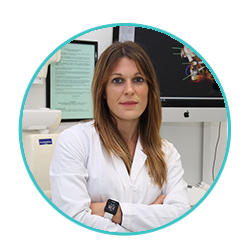 She carries out clinical and research activity at San Raffaele Hospital – rehabilitation department, neurological, cognitive and motor disorders.